McALLEN — Jan Hargrave has studied and talked on national television about presidents, NFL players, coaches and celebrities. She didn’t think that would happen when, years ago, all she was trying to do was find out if her college boyfriend meant his love when he confessed it. 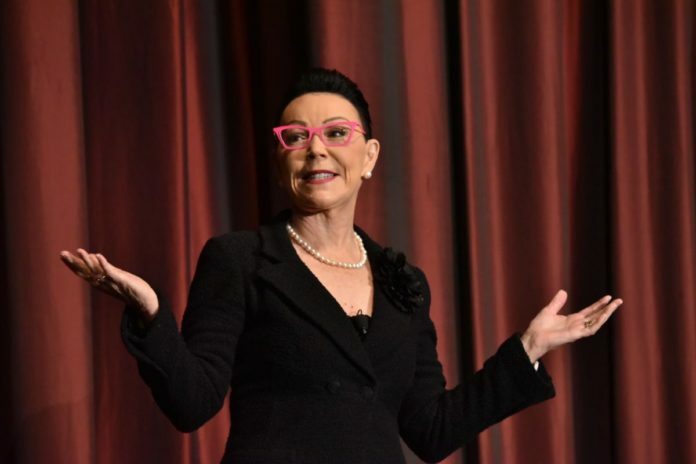 Hargrave, who calls herself a motivational information speaker, will be the featured speaker at Thursday’s McAllen Chamber of Commerce Business Expo at the Convention Center. This is the 19th annual business expo, McAllen’s top business networking event. Hargrave is based out of Houston and travels around the country teaching physicians, juries, the military, corporations and many others. There are all kinds of signs that give away how to read a person, Hargrave said, which can translate between specific businesses. Speaking to people in the medical field isn’t too different from speaking to people dealing in the courtroom. Hargrave’s curiosity in body language piqued when her college professor walked around the classroom saying he knew what everyone was thinking. “How can this old fool know what I’m thinking?” Hargrave recalled. She then began doing graduate research, which turned into $15 speaking appearances, which turned into her leaving her eight-year teaching career to pursue speaking and analyzing body language full time. She’s been on national broadcasts analyzing the body language of Bill Clinton, Tom Brady, Donald Trump and many others. Hargrave has now written five books and travels around the country speaking and working with businesses, organizations and governments.